Huffington Post: “Everything You Know About Obesity Is Wrong” — “From the 16th century to the 19th, scurvy killed around 2 million sailors, more than warfare, shipwrecks and syphilis combined. It was an ugly, smelly death, too, beginning with rattling teeth and ending with a body so rotted out from the inside that its victims could literally be startled to death by a loud noise. Just as horrifying as the disease itself, though, is that for most of those 300 years, medical experts knew how to prevent it and simply failed to. “In the 1600s, some sea captains distributed lemons, limes and oranges to sailors, driven by the belief that a daily dose of citrus fruit would stave off scurvy’s progress. The British Navy, wary of the cost of expanding the treatment, turned to malt wort, a mashed and cooked byproduct of barley which had the advantage of being cheaper but the disadvantage of doing nothing whatsoever to cure scurvy. In 1747, a British doctor named James Lind conducted an experiment where he gave one group of sailors citrus slices and the others vinegar or seawater or cider. The results couldn’t have been clearer. The crewmen who ate fruit improved so quickly that they were able to help care for the others as they languished. Lind published his findings, but died before anyone got around to implementing them nearly 50 years later. “This kind of myopia repeats throughout history. Seat belts were invented long before the automobile but weren’t mandatory in cars until the 1960s. The first confirmed death from asbestos exposure was recorded in 1906, but the U.S. didn’t start banning the substance until 1973. Every discovery in public health, no matter how significant, must compete with the traditions, assumptions and financial incentives of the society implementing it. “As a health psychologist who’s been studying body image and health behaviors for two decades, I applaud Hobbes for shining a public spotlight on much of my field’s research, and for giving overweight people a space to be heard and seen as people with personalities, families, interests and careers, and not as vessels of disease, numbers on a scale or participants in an epidemic. And I certainly agree that a focus on health and support is important for well-being. CBS News: “Obesity rates now top 35 percent in 7 states” — “Americans continue to fatten up, with obesity rates topping 35 percent in seven states, a new report reveals. “That’s up from five states two years ago. 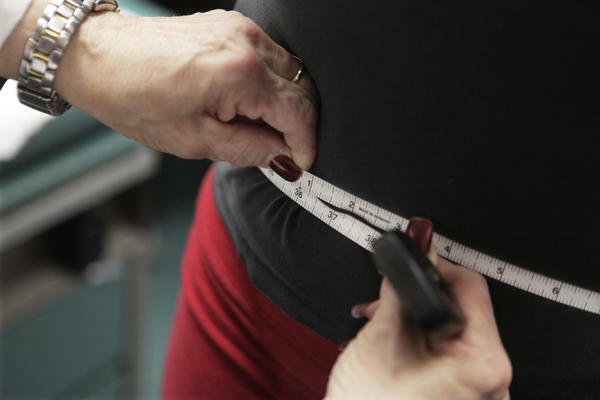 Moreover, no state had a notable improvement in its obesity rate over the previous year, according to the report from Trust for America’s Health and the Robert Wood Johnson Foundation, both nonprofit health policy organizations. “‘Obesity is a complex and often intractable problem, and America’s obesity epidemic continues to have serious health and cost consequences for individuals, their families and our nation,’ said John Auerbach, president of Trust for America’s Health.